Bill's Bees featured in 2013 BEE Calendar created by award-winning photo-journalist, beekeeper, LACBA member, Kodua Galieti. 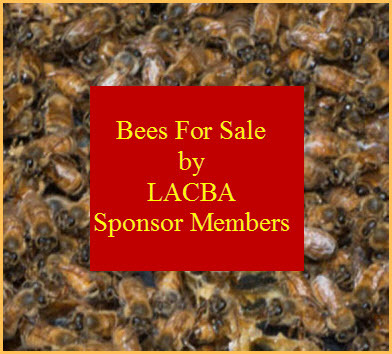 Bill's Bees is the month of July! 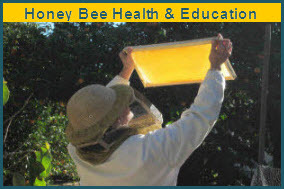 "Honey bees arrive in California by semi-truck beginning in October from as far away as Florida. They prepare for one of their most important pollination jobs of the year in February, which is the California almonds. The honey bees are anxious to fly and burst forth from their hives at first light of day to get their bearings and take care of "beesness." When there is a strong smell of nectar in the air, it almost seems like the honey bees explode out of the hive even before sunrise. This is especially visible when moving bees to oranges just as the bloom begins. The bees thrive in almonds and oranges. Well fed bees are happy healthy bees." - Bill Lewis & Clyde Steese, owners, Bill's Bees.